Is Chen Xing the biggest and most important digital cinema company that you’ve never heard of? Quite likely. With the conversion of existing cinemas to digital winding up around the world, future focus of manufacturers will be on territories with organic growth, before the the replacement cycle sets in towards the end of this decade. And no market right now has more focus on it than China, with it strong (though likely unsustainable) growth of 18 new screens per day. This means that there is still a need for thousands of projectors, servers, speakers, screens and more every quarter in China. Even other emerging markets like Russia, Turkey and Indonesia can’t match that level of demand. Given that China started early with digital cinema installations, it also means that its replacement cycle will start earlier than many other territories as next-generation laser projectors with HDR/HFR (high dynamic range/high frame-rate) come onto the market. Chen Xing Technology Development (Beijing) Co., Ltd. Chances are that you have not heard of Sun Xiaobin, or even the company that he heads, Chen Xing Technology Development (Beijing) Co., Ltd., or the Oristar brand under which its products are sold. But all that is likely to change soon. Mild mannered and sweater-wearing, Mr Sun is nevertheless as laser-focused and as unwaveringly determined as Steve Jobs in his vision; by the time China overtakes the United States as the world’s largest cinema market it will be his company and not Christie, Dolby/Doremi or GDC that is the dominant technology player in the cinema technology space. In a lengthy Q&A interview in China’s Enterprise Observer titled ‘Leader in Digital Cinema Revolution Last Mile‘ Mr. Sun lays down his precise vision and methodology for how Chen Xing is going about becoming the Mainland’s leading cinema technology company. It is a vision that goes far beyond just new servers and technology autonomy, but encompasses a holistic view of the cinema technology environment. But servers are the obvious entry point for the company. We see the enormous capacity of the Chinese film market and the fact that it relies on imports for digital cinema servers. We at Chen Xing Technology think that independently developed digital cinema servers can not only break the technical barriers abroad, but also has a huge market potential. With 35mm film movies starting to be replaced by the digital cinema trend, starting in 2006, Chen Xing Technology homed in on the needs of the digital transformation of the theater with a systematic analysis and research of digital cinema encoding system, so that we developed sophisticated digital cinema servers and digital cinema auto show management systems. In 2011 we had developed AQ10 digital cinema server, which finally passed the third grade U.S. FIPS security certification, also passed the certification test of DCI. Chen Xing Technology is unique in this whole industry because it is China’s first to achieve DCI-certified digital cinema servers. Previously, only foreign companies developed a DCI-compliant 2K screenings server. Now, AQ10 is on Disney’s official website as having also become a recognized facility. Marketed as the Oristar AQ10 digital cinema servers, details about it can be found here. The focus on servers is a smart move as they are likely to be replaced before the digital cinema projectors they are tethered to. This is particularly true if servers are to offer HFR of 60fps or even up to 120fps, with the next Avatar films likely to push such an envelope, since many early servers can’t handle any DCPs encoded above 48fps. But Chen Xing is thinking way beyond the server to a whole end-to-end technology ecosystem for the theatre. In particular the company is focused on the future of cinema automation where tickets, sales and screenings will all be un-manned operations. With high rents for multiplexes in Tier One and Two cities in China, manpower costs are an obvious target for savings. Chen Xing idea is to hope that through their own technology and equipment for the theater to save money, make money, and manage money. For example, six cinema after using the ticket system Chen Xing buffet and snack vending systems were able to reduce more than 50% of their staff, which greatly reduces the labor costs of the theater operations. You can save the money back to the movie tickets, increasing the competitiveness of the theater. Now the tendency is to invest in theater group, which gives management challenges, especially in the management of the ticket statistical and financial data. Chen Xing ticketing system provides support specifically for this purpose, and can support more than 300 theater chain, supporting both synchronous and asynchronous data exchange. Just how much of a saving does this add up to? Quite a lot, actually. Writing about the company at the HK Filmart last year this article shows that the numbers are very large, particularly when taking thousands of cinemas into consideration. Dadi Digital Cinema, operated by another investment venture of Sino-i Technology – Guangdong Dadi Theatre Circuit, has an average of 24 staff in each cinema with 6 screens or above. If Dadi would acquire this one-stop service system, the number of staff might be cut half to 12 staff in each cinema. Taking into accounts the salary of the redundant staff and their insurance, medical and social welfare costs, the cinema could save up to RMB 500,000 – RMB 600,000 per year (USD $80,200-$96,000). While Dadi Digital Cinema is operating over 160 cinemas in Mainland China, it could trim down the number of staff to around 1,900 and save about RMB 5.8million (USD $0.93 million) spending per year on salary and employee welfare, cutting down opening costs. Oristar Technology is also developing an automated movie projection and management system that could help to cut down the number of projectionists from at least 3 in each multi-screen cinema to 1 monitoring the system of several cinemas. If all goes well, the system can be launched next year. By then, if Dadi will acquire the system, the total number of projectionists needed may come down from 500 to only 80 to 100. The advantage of 1 staff overseeing the projection system in several cinemas may also help to cut around RMB 1.5 million (USD $240,000) of operating costs, saving approximately RMB 7.2 million (USD $1.15 million) in total operating expenses. These systems are first introduced to Guangdong Dadi Theatre Circuit, and are set to get sold to over 10,000 theatres all over China. So Chen Xing is not just challenging the likes of Dolby and Doremi but also Vista and other ticketing systems, as well as F&B sale support integrators. Chen Xing is an impressive company that has been around for a long time, clearly heeding former Communist Party leader Deng Xiaoping’s motto for China to “hide its brightness, bide its time.” It seems the time has now come for the company to shine. Chen Xing Technology Development (Beijing) Co., Ltd. is a company specializing in digital media technology services and systems integration services for high-tech companies. Long-term focus on digital cinema, interactive television and other digital media industry technology services, with many years of experience in the field of streaming media, copyright protection, information security, application management and other accumulated Chen Xing has become well-known in the field of application solutions providers. After five years of development, the company’s product line has covered the whole field of digital cinema and interactive television industry, packaging film from the source coding encryption program, to restore media player; from theater screenings automatic control and management, to the end-user authentication and accounting; broadcast monitoring from a remote equipment monitoring, to show the content; automatically distributed data information from the Internet media, intelligent storage management to the massive program data; ticket from online networking services to national certification through the theater dedicated ticketing system. . . . . . In each specific business direction, the company can provide professional products and complete solutions with independent intellectual property rights. In fact, it seems that the only business activity the company isn’t undertaking is the manufacturing of digital cinema projectors, but that too is actually a smart move. With digital cinema conversions nearing completion, projector are having to ramp down over-capacity and prices are already going down significantly, enabling smaller cinemas to convert. With investment in building the next generation of laser projectors likely to be costly (and result in initially costly projectors), Chen Xing is sitting back and focusing on the brains and neural network of the cinema, i.e. the company’s Theatre Management System (TMS), specification for which can be found here. Where Mr Sun really demonstrates his Steve Jobs-like ‘brightness’ is in the company’s approach to R&D and growth. It is worth quoting the interview at length here. I always think about how to tackle research and development in an enterprise in the most simple way. The first is for the company’s strategic goals to be pure, not inconstant. In Chen Xing, what we need to do is to solve the overall ‘wisdom expert’ program for the theater, so the development team must focus on the goal of this work alone. Second, the relationship between R&D personnel should be simple, which does not allow for cliques, and each person must know how to collaborate on the basis of their duties. In research in multimedia technology that lasts for many years, I have found that there are R&D team “Scholars light” phenomenon, whereby someone should always feel like someone else’s technology as if it is their own. So I do emphasize to builders in Chen Xing, do not criticize advocates. Of course, before the management staff, the company must first do their own thing, to try to solve the worries of the employees. Given the high housing prices in Beijing, Chen Xing new recruits are provided with two years of low-priced hostel, so it was a smooth transition. In addition, the company also strives for its staff to create a good working atmosphere. 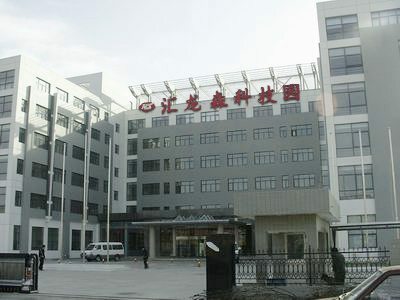 Now, Chen Xing R&D team has more than 200 employees, including doctors, masters accounted for more than 30%, 50% level of undergraduate team is relatively stable, the turnover rate is very low. R&D is a complex mental work, more so, the team should be more simple distractions to concentrate. The invention provides an image compression system which comprises a source data storage unit, a data distribution control unit, at least two image compression units and a target data storage unit. The invention provides a system for generating digital cinema packages (DCPs). The system comprises a parameter configuring module, a group operating module, more than one data processing module, an information file generating module and a combining module, wherein the parameter configuring module. So for people who still associate Chinese manufacturing with suicides at Apple’s Foxconn factories, Chen Xing should serve to demonstrate how far forward thinking Chinese innovators like Mr. Sun can be. Just like Alibaba, Tencent, WeChat, Weibo, Huawei and Xiomi are starting to be appreciated for the fact that they are not simply clones of older western companies but majors about to dominate markets outside China, so too Chen Xing/Oristar is set to join their ranks in the digital cinema field. At this point some readers might be asking themselves, “Isn’t there already a Chinese digital cinema server manufacturer led by a charismatic and visionary businessman?” Indeed, you could be forgiven for thinking that we had overlooked GDC Technology and Dr Man-Nang Chong. What is interesting is that from Chen Xing’s perspective GDC is not simply a competitor but, more importantly, a foreign competitor, not a Chinese one. This despite the fact that none other than Alibaba’s Jack Ma has invested in GDC, with an 80% stake as part of a consortium led by The Carlyle Group and its Carlyle Asia Growth Partners IV fund (Li-Kashing was an earlier minority stake investor). But significantly GDC remains Hong Kong-based and its global head quarter is in Los Angeles, while the company itself was founded in 1999 in Singapore. All of this adds up to the fact that while GDC has been incredibly successful in deploying in China, it is not seen as a company truly of the Mainland. Whereas Chen Xing is through-and-through Chinese. So where does that leave other digital cinema equipment vendors? Do they have any hope in a future Chinese cinema market that pursues a ‘last mile’ strategy of self-sufficiency? It is unlikely that there will be a domestic digital cinema projector manufacturer to challenge Barco and Christie (Sony and NEC face greater hurdles as Japanese companies in a country whose relations with Japan are presently frosty at best), not least as both have significant manufacturing capacity in China. Barco in particular has been pursuing a clear ‘China First’ policy, with its initial laser projectors destines for Chinese screens. Yet even Christie and Barco might be tempted to hedge their bets by following Imax’s strategy of selling a significant stake of their Chinese operations to a local partner. For GDC there is little more it can do than to shift its headquarters from Hong Kong and Los Angeles to Beijing and Shanghai, which won’t happen. Is Dolby A Good Fit? The biggest question hangs over Dolby, which has been negotiating the tricky territory of collecting revenue for licensing its consumer technologies to Chinese DVD manufacturers for years. But B-2-B sales and solutions are a different order of things. If it wants to make a success of Dolby Atmos and not see the immersive audio market in China go to Barco’s Atmos or a CFGS-like local solution, they will have to be more pro-active in the market (and Dolby knows it). Forming a strategic partnership with Chen Xiang would undermine a push for its own Dolby/Doremi servers, but as Chen Xiang does not (yet) have an audio or 3D product, it may still be advisable. Dolby sits on almost USD $1 billion of cash reserve and no debt. I could think of worse ways to spend some of that money than to take a minority stake in Mr Sun’s company, much like Yahoo and Softbank did with Alibaba. Having just bought Doremi it might seem strange to go after another digital cinema server company, but Chen Xing is much more than that and will be a smart move that few will expect. In the long run it might be an even smarter strategic move than Doremi. Unless Christie beat them to it, that is. In conclusion, it is worth returning to fundamentals that drive Chen Xing: it pursues the enterprise’s spirit of “Credit, Effectiveness, Creation, and Contribution”, upholds the scientific management principle of “People are the source of everything”, and advocates the operating philosophy of “Pursuing Excellence” to face any challenges. This is a company that will go very far, not just in China. Chances are you’ll read about it here first.